An umbilical cord is a thin, tube-like structure that connects the developing fetus to the placenta. It’s composed of three blood vessels, two arteries and a vein, surrounded and cushioned by a jellylike substance called Wharton’s jelly. The umbilical cord is the “supply line” that carries delivers life-giving oxygen and nutrients and removes waste products. Five weeks after conception, the umbilical cord begins to form. As the baby develops, the cord grows until it reaches an average of 22-24 inches in length, around the 28th week of pregnancy. If it develops properly, the cord will gently coil around itself. Umbilical cord abnormalities can range from false knots, which are relatively harmless, to life-threatening conditions. A short umbilical cord is a complication that can cause serious labor and delivery issues. A full-term baby born with a short cord has a two-fold increased risk of death, making vigilant postpartum monitoring of these infants a necessity. Expectant mothers rely on their doctors to guide them through a healthy pregnancy, labor, and delivery. It is reasonable to expect your obstetrician, along with the healthcare staff, to monitor your pregnancy carefully and respond to any indications of an abnormality that could potentially become a serious problem. State-of-the-art ultrasound images make it easier than ever before for doctors to discover potential problems early enough to treat them. It is your obstetrician’s responsibility to ensure that you have the necessary diagnostic tests and are offered timely treatment options throughout your pregnancy. Umbilical cord monitoring is no exception. Every pregnancy is different, and a short umbilical cord can cause a variety of problems that require special attention by the mother’s medical provider. If a short umbilical cord birth injury is diagnosed early, a C-section may be scheduled to limit the effect on the baby. Additionally, because there is an increased risk of mortality for the baby after delivery, it is reasonable to expect the doctors to arrange for increased monitoring—both immediately after delivery and for the long term, as appropriate. Could the Baby’s Birth Injuries Been Avoided? 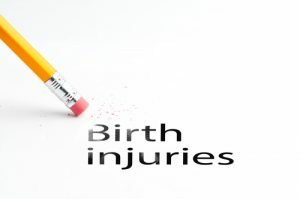 Birth injuries can be avoidable with proper care and good pregnancy management. Injury to the mother or child might have been avoided (or at least lessened) with early diagnosis and proper treatment. If you are unsure as to whether or not the medical professionals managing your pregnancy did everything they could to avoid complications for you and your child, call Thurswell Law. We have extensive experience in obtaining compensation for birth injuries that result from the negligence of doctors, nurses, and hospitals. And we never charge a fee unless you collect. Call for your free, no-obligation consultation today at 1-866-354-5544. We will do all that we can to help you and your family receive the financial compensation your injured child deserves.